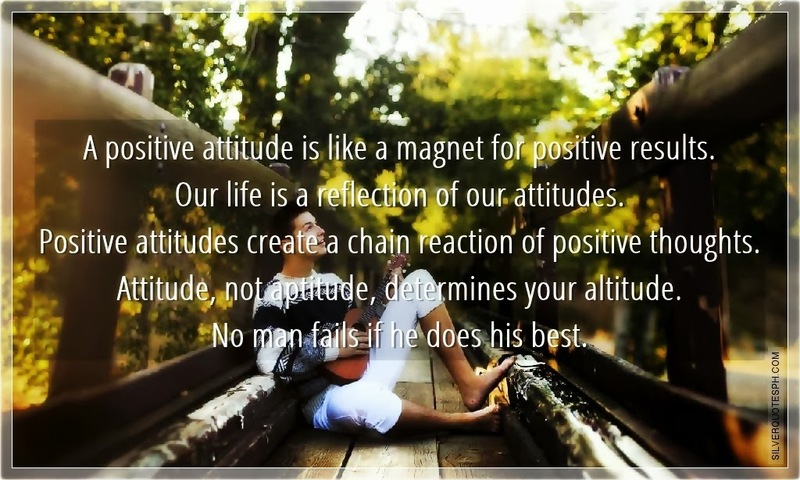 A positive attitude is like a magnet for positive results. Our life is a reflection of our attitudes. Positive attitudes create a chain reaction of positive thoughts. Attitude, not aptitude, determines your altitude. No man fails if he does his best.